Xinjiang is the largest Chinese administrative division and the eighth largest country subdivision in the world. Xinjiang is mostly covered with uninhabitable deserts and dry grasslands, with dotted oases at the foot of Mountains. During this tour, you will have a desert highway tour of Urumqi, Turpan, Korla, Mingfeng, Hotan, and Kashgar. Visit the highlights of Urumqi and Turpan cities. Explore the anthentic living style around the Taklamakan Desert. Follow the footsteps on the South Silk Road. Upon your arrival, tour guide will pick you up from airport or train station and then transfer to your hotel in Urumqi city. Exlpore this city at leisure. Today, start our tour with Heavenly Lake, 98km northeast of Urumqi downtown. It is a crescent alpine lake in the north of Bogda Peak, which enjoys crystal water due to melted snow as its source. Cruise on the lake and stroll around the lake after that. Then transferred back to visit Erdaoqiao Grand Bazaar. 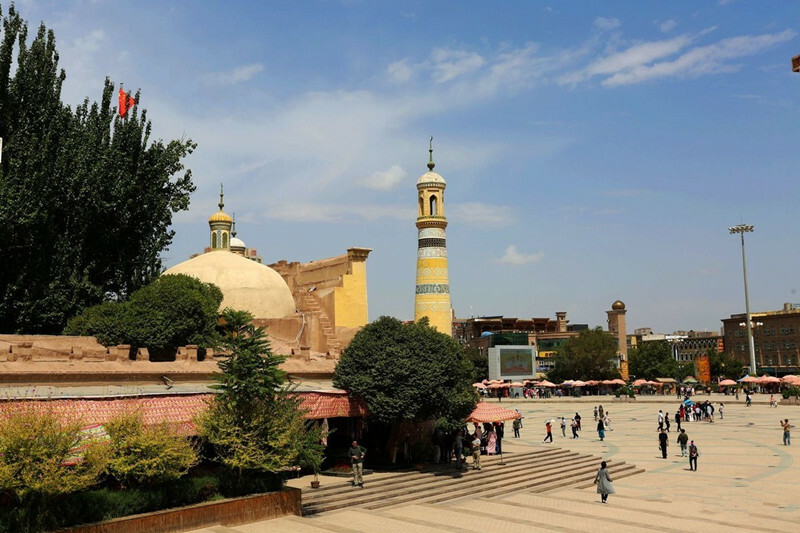 It is one of the most famous landmarks in Urumqi city, which is the largest bazaar in the world by scale, combining Islamic culture, architecture, ethnic commerce, tourism and entertainment. After breakfast at hotel, head to visit Jiaohe Ruins. It is a natural fortress located atop a steep cliff on a leaf-shaped plateau between two deep river valleys. Then move on to Karez Well System. Located in the Turpan Depression, it is a vertical tunnel system adapted by the Turpan people. After that, continue the tour to Sugong Minaret. At 44 meters high, it is the tallest minaret in China. 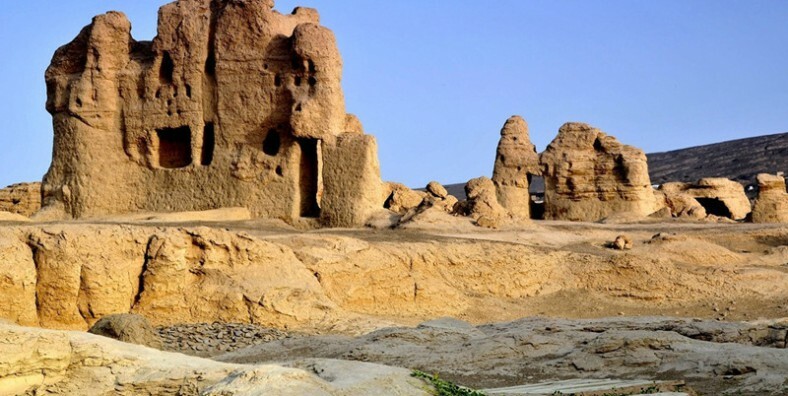 Today we will visit Gaochang Ancient City, 46 kilometers southeast of Turpan. Built on the northern edge of the Taklamakan Desert and to the south of the Flaming Mountains, its old palace and city ruins can be seen today as they’ve been well-preserved. Today drive another long way(about 7 hours) to Minfeng. Enjoy the scenery along the way, especially the 2nd largest shifting desert in the world – Taklamakan Desert. After breakfast, continue driving to Hotan, which is famous for Chinese dates. 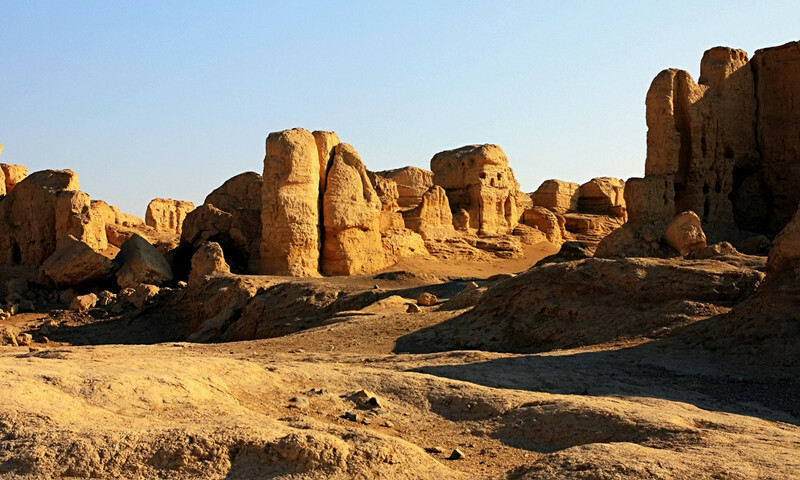 Located in an ancient oasis, Hotan is an ancient Silk Road city with a long and illustrious history. Today, visit Ruins of Mallikurwatur. Lying 25 km southwest of Hotan, majority of the ruins are buried underground in the deep sands. After that, transferred back to the city to visit a local family workshop of paper-making. Morning, drive a long way to Kashgar. On the way, stop to visit a notable knife factory in Yengisar. Today start the tour with Id Kah Mosque, one of the biggest mosque in China, which was built by Saqsiz Mirza in 1442. Then head to handcraft street, which is full of unique and exotic goods. It is one of the most featured street in various local handicrafts in and around Kashgar Xinjiang China. After that, visit the Abakh Hoja Tomb, the largest Islamic mausoleum of Xinjiang. It is most known as the Tomb of Xiang Fei, who is one of theimperial concubines of Emperor Qianlong. 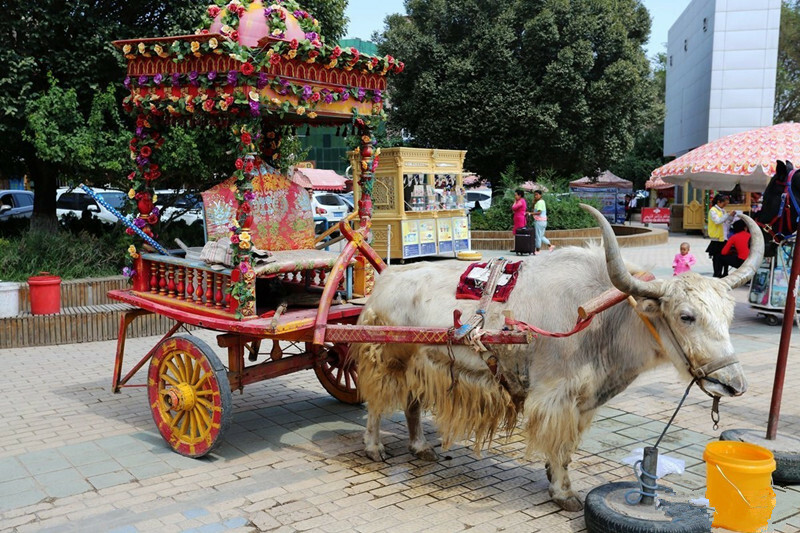 Continue the tour to Sunday Bazaar, the busiest part of the city, which covers a total area of 0.17 square kilometers with more than 5,000 stable stalls. Be transferred to the airport for the flight back to Urumqi. Service ends.